What fascinates me in the amateur radio? - The fact that a signal is heard in the fraction of one second at the other end of the world and the answer comes back as fast. - Also with an mean radio equipment (100 watts and wire aerial) one can "conquer the world “. - The uncomplicatedness of the send in Morse-code. - Without qualifying rounds one can take part in significant national and international competitions, even in world championships, and form this participation individually. Competitions on the amateur radio happens not . against each other, but with each other. - The precision of the QSO data management which the computer of the operator requires. - The quick transmission of helpful information on the Internet. 50 years ago the radio amateurs would not even have risqué to dream of DX clusters, eQSLs, electronic certificates etc. - The inventor's mind of the radio amateurs to develop new, more effectual transference procedures. 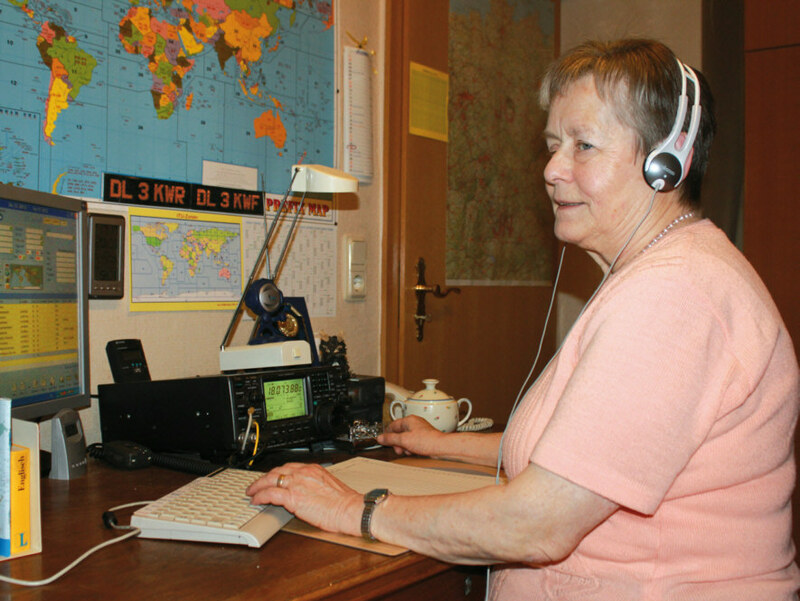 Also senior radio amateurs find new activity fields in these digital radio operations. - The challenge which is connected with every contest participation and with every Pile-Up. An operator have only two possibilities: to consist in this radio operation or to switch off. - My pride, never I had to switch off. - Off the spectacular successful levels one can define my level individually. - The mutual esteem and acceptance, the help and solidarity as well as the amicable relations together, vast over land borders. - With international meetings - I have taken part in many - it is more harmoniously than in some family. - The possibility with special call signs by special activities to popularise historical, cultural, sporty occasions or to appreciate the life and work of deserving personalities. - … and radio amateurs are not anonoyme persons. It's not decisive the class of the license of a ham, but the class of the ham with a license !